Suri and Katie pick up several bouquets of Christmas Eve flowers at a specialty market in Los Angeles on Thursday, 24. 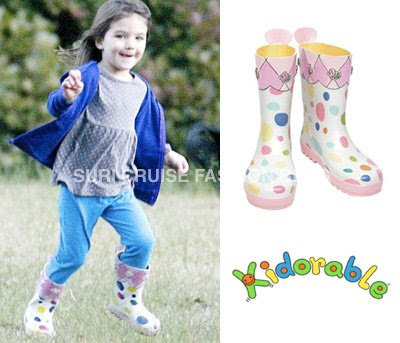 Suri is wearing English Rose Dots Rainboots by Kidorable, which she first wore in Australia on July 28th 2009. 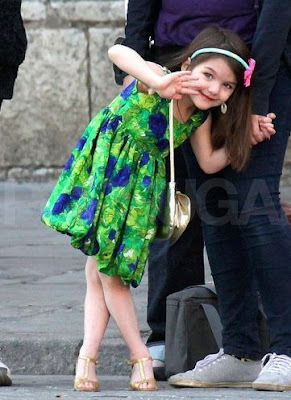 Suri is also wearing Silk Ruffle Dress in Green by Holmes & Yang. Honestly, i expected more creativity from Katie and her designer-friend, rather than recreating one single dress in all of the rainbow colors... blah. 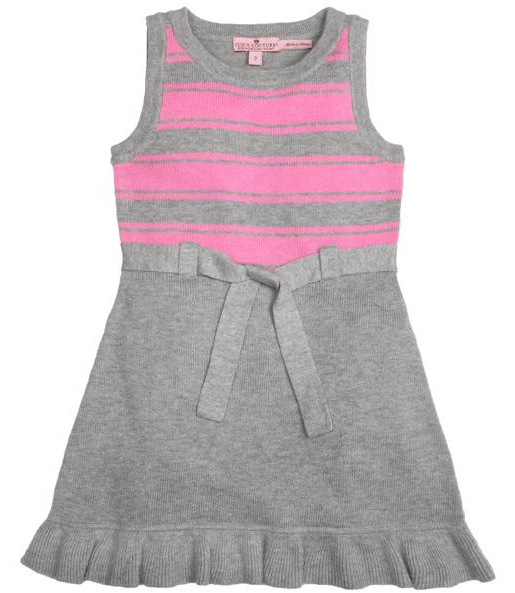 Eva's Angels is a new European clothing brand for Toddler Girls, offering hand-made dresses & outfits from the finest Italian materials, with exceptional attention to details. Get yours now, the quantities are really limited! 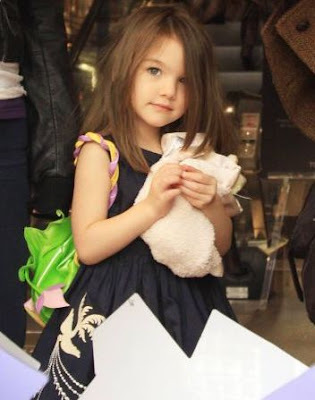 Katie's Christmas Shopping Spree and NO sight of Suri! at at Ralph Lauren on Rodeo Drive in Beverly Hills on December 21st. at Pier One and Barney's in Beverly Hills on December 22nd. at Hermes in Beverly Hills on December 23rd. 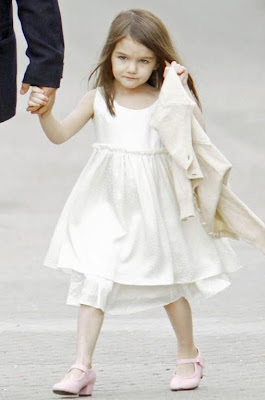 Suri Cruise has topped the charts in a UK study as most fashionable child celebrity. 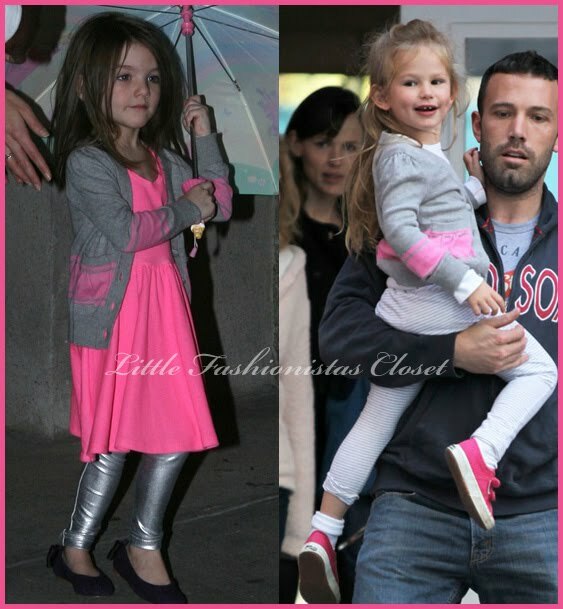 Adam Childrenswear who carried out the study says, “‘Suri is almost a celebrity in her own right thanks to her cute looks and her amazing wardrobe. So who voted in their poll? Only 3,000 parents. 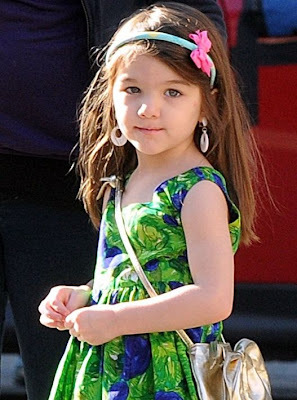 Suri beat The Beckham boys, Gwen Stefani’s son Kingston, and Madonna’s daughter Lourdes in the poll. Katie & Tom celebrate her 31st birthday at an Irish pub in Sevilla, Spain on Thursday, 17. Also joining in on the fun were the family’s kids Suri, Connor and Isabella and Tom’s Knight and Day co-star Cameron Diaz. After spending time together to celebrate, the Cruises headed straight to the airport and headed home from Spain after wrapping up filming earlier that day. 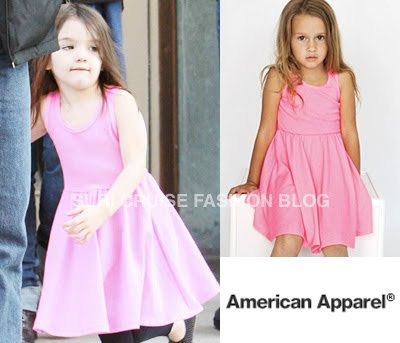 Suri is wearing for the 6th time Highlighter Skater Tank Dress in Pink by American Apparel, and for a change she decided to layer it with short-sleeves white tee. Suri along with Isabella, Conor and their parents pose for a photo at La Isla Magica over the weekend. The fun fair — located in Seville, Spain — opened up just for the family, in town while Tom films Knight and Day. 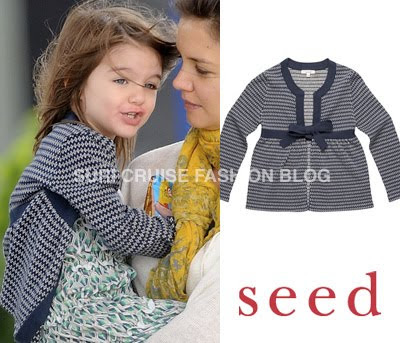 Suri for the 5th time is wearingHighlighter Skater Tank Dress in Pink by American Apparel and Diamond Jacquard Tie Cardigan in Navy by SEED. iam tiered of looking at those boooooring combos - seed+american apparel, seed+holmes&yang.......... blah. 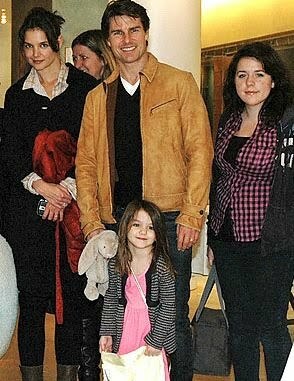 Suri, along with Isabella, Conor together with Tom & Katie were spotted out for dinner in Sevilla, Spain on Monday, 14. The family dined at a traditional restaurant and enjoyed some tapas including anchovy, Spanish omelette and kokotxa. Sources say the group re-ordered several of the snacks and drank only water. Suri is wearing White Silk Ruffle Dress by Holmes & Yang with Diamond Jacquard Tie Cardigan in Navy by SEED and Salina Safari Patent-Leather Ballet Flats by CrewCuts, which Suri first wore arriving to Tokyo on March 11th 2009.
and Shopping with Katie in NYC on November 22nd 2009.
sorry, for repost, i had to change the pictures. Suri looked especially precious in her colorful dress and gold strappy heels visiting Tom on the set of Knight & Day in Seville, on Friday, 11. She accessorized with a purse and headband as she greeted the crew and waved at photographers. She was also joined by her big sister Isabella. 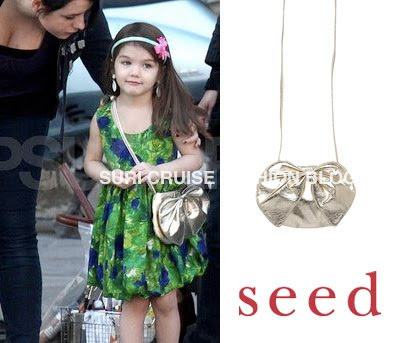 Suri accessorized her outfit with Bow Bag in Gold by SEED and Flamenco clip-on earrings. Today, December 11th, in Seville - Temperature is +19C. Warm enough for a dress! Suri & Katie spent their afternoon with a few friends on a private tour of the zoo in Seville on Wednesday, 9. 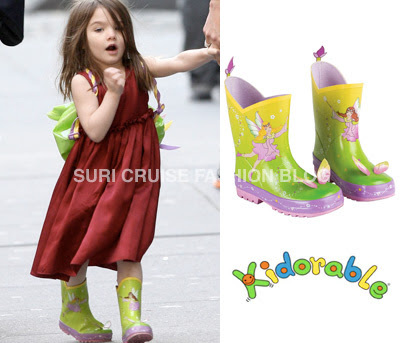 Suri for the 4th time is wearing Highlighter Skater Tank Dress in Pink by American Apparel and Fairy Rain Boots by Kidorable, first worn on November 21st 2009. 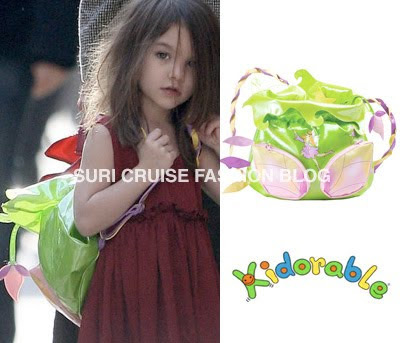 Suri accessorized her latest outfit with a purse full of lip gloss visiting her dad Tom on the set of Knight & Day in Seville on Tuesday, 8. 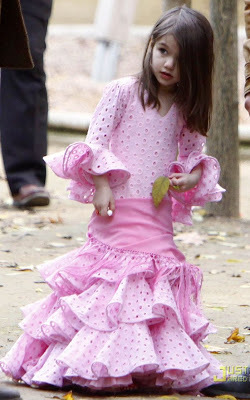 Suri is wearing BEBOP Dress by Bonpoint, which she first wore on September 17th 2008.
and she continues to wear her new favorite Flamenco Shoes in Pink - can be purchased from flamencoexport.com, which she first wore yesterday. Thanks to Sarah for notifying me that the pink flamenco shoes are not by Mix Mamas. 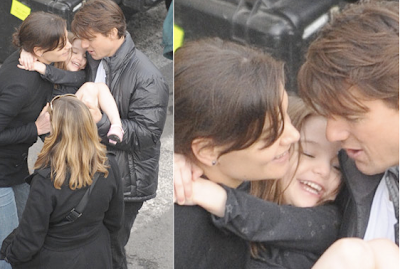 Suri & Katie visit Tom on the set of his new film “Knight and Day” in Sevilla, Spain on Monday, December 7. 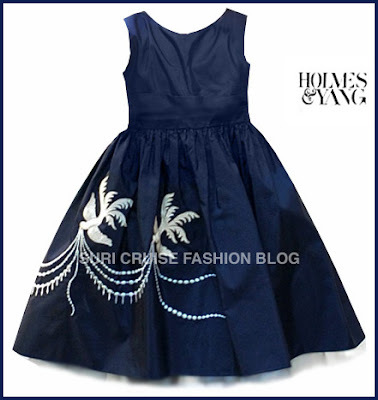 Suri's dress is the newt addition to Holmes & Yang Collection - it is made of White Silk with dots and has an asymmetrical cut hem - Beautiful Dress!! 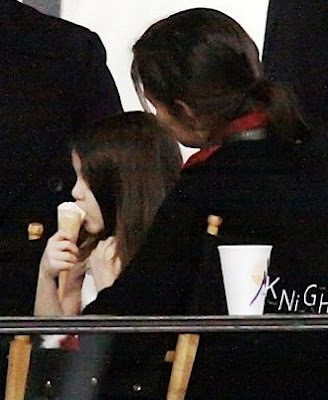 Suri and Katie visit Tom in Spain, they to play at a park together Sevilla on Sunday, 6. Tom is currently on location, filming his new movie, Knight and Day. 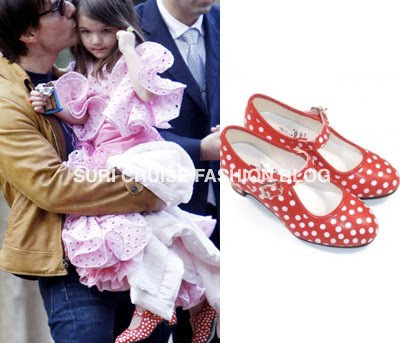 Suri is wearing traditional Spanish flamenco dress and Polka Dot heels by Mix Mamas. Enjoy the full slide-show by popsugar. 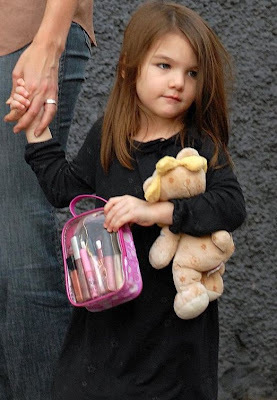 Who Wore Juicy Couture Better - Suri or Violet? Suri wore Preppy Stripe Cardigan in Grey/Pink by Juicy Couture, while out for a dinner in Boston on November 7th. Suri created one of my favorite outfits by pairing this cardigan with Highlighter Skater Tank Dress in Pink and Shiny Legging in Lamé Silver, both by American Apparel and CELIA Bow Ballet Pumps in Dark Purple by Maloles Petite. Violet paired this cardigan with Striped Leggings by Splendid and Pink Torino Hook-and-Loop Shoes by Superga, for a day at school on November 30th. Suri wins it for me with her Lamé silver leggings & purple shoes combo. Love it! P.S. more updates will be added later today! Labels: Juicy Couture, Who Wore It Better? Suri is all smiles as she goes on a shopping spree with her big sister Isabella and mom Katie on the Lower East Side neighborhood of New York City on Sunday, 22. In the evening, S&K went to the Joyce Theater to catch a retrospective of the Complexions Contemporary Ballet Company. Suri is wearing Vintage Dove Dress by Holmes & Yong (available at Maxfield), which she first wore on November 30th 2007.
and Fairy Boots & Backpack by Kidorable, which she first wore on November 21st (yesterday). strolling in Red Trench Coat (PLEASE! 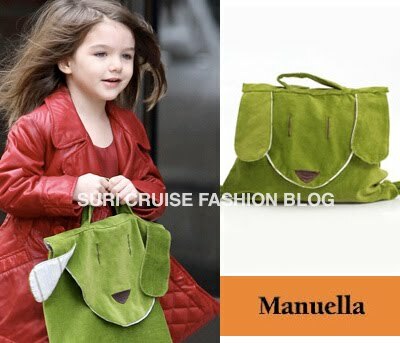 send me a hint, if you know who made it) over her Red Silk Holmes & Young dress and holding Green Doggy Backpack by Manuella. shopping at SOHO Baby Boutique..
same dress, no coat + plus more green stuff: Fairy Rain Boots and Fairy Backpack, both by Kidorable. and attending a matinee showing of the Lion King musical on Broadway. 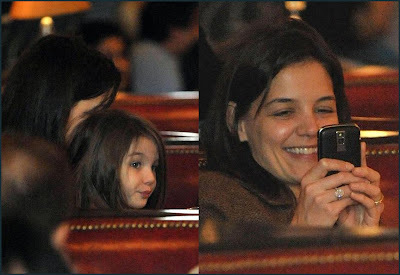 Pictures of Suri Cruise are available all over the net. I do not steal photos. Once they are in the public domain they are available for everyone and I source the location in which I found them. SCFB does not claim ownership ofany of the pictures on this blog. This is a fanblog only.